Artist Note: The paradigm is shifting. Our Earth Mother is birthing us into a new reality. Let go of the past. With soulful intention weave a new dream. It's up to you to make it a good one! Align with her light now and weave a new dream. Artist Note: Flow with the circular nature of life. Let go of your resistance. As you dance in the spiral, let life live you! Artist Note: Over the years, my relationship with "Wanikiya" (Lakota word used for Jesus") has transformed from the ideas of early fundamental Christian upbringing into a very real relationship with a Divine Being of Light. Messages that have been given have been sparing of words but the words that were used have been portals into a much deeper understanding. This song is an expression of that journey of transformation. In its creation I have discovered that it transmits a healing energy of its own. May you be blessed by it. The words below in "quotes" are some of the messages that were given. Perhaps they hold deeper meaning for you too. *Iesvs: Classical Latin for "Jesus"
Artist Note: I wanted to know how to say "Be still and know" in Lakota. English is "Calmly Know". May you find the inner calm this song conveys. Artist Note: A few years ago I discovered the work of physicist Nassim Haramein through some detailed workshop videos I found online that he did at Rogue Valley Metaphysical Library in 2003. The theme of this lecture was "Crossing the Event Horizon". I was so profoundly impacted by his work that I wanted to write a song about it, that through metaphor might capture the essence of what he was sharing through this work. This is the song the Universe gave me and I am grateful for that gift. May it open you to a greater awareness of the truth of who you are. We are crossing the event horizon...fade out. Artist Note: "All My Relations". "Spiral to the Center". "Walk in Balance". The messages of these chants is still oh so true, and now they are woven into the "Threads of a Greater Tapestry". In this dance with life, we must humble ourselves in our healing process and awaken to what we truly are and what we are not. Artist Note: Remember how to play. Remember how to laugh. Remember how to have fun. Make your heart pure so that unsullied innocence springs forth naturally and leads you to do what is right. Herein lies your freedom. Artist Note: All of life is truly a circle. Round and round we go. Make it a dance of light. Make it a legacy of love for the generations yet to come. Artist Note: Are you yearning to find your way back home? Return to the Source. Return to the Light and Dance. 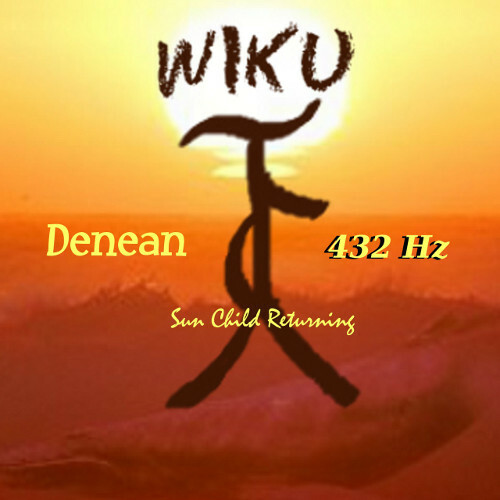 "Sun Child Returning". There are many layers to this metaphor as it is used in this music. I will leave you with this music and your own intuition to discover its depths. Translation: Unci Maka means Grandmother Earth. With Unci Maka know that we are one...fade out. Artist Note: The whale people came in the dream time and gave me this chant, asking that we "sing" together. The meaning of "Oaya" was given only in symbol and the symbol seems to have great depth. Perhaps someday I will reveal this symbol and expand on this understanding, but for now I ask you to put away the need to know and just be. Be with the whale people. Be in the center of your own light. Just be. This recording is at 432 Hz and the full dynamic range of the original performances has been preserved.